A follower wished to see an updated count for Silver. 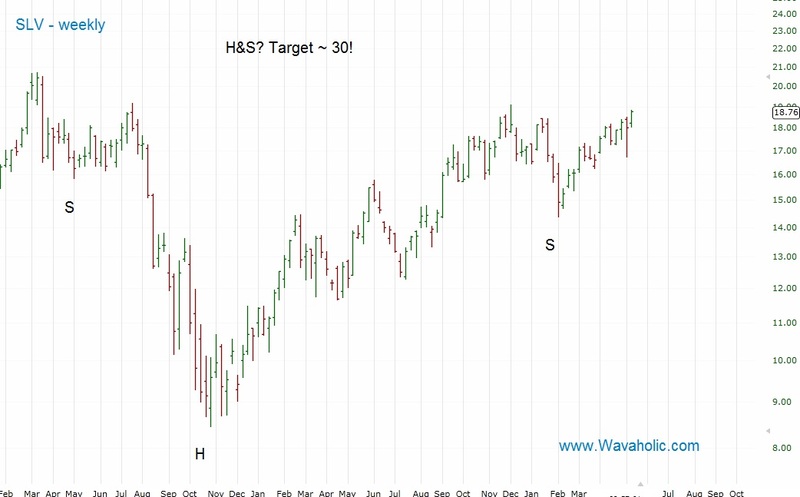 We can see a potential inverse H&S forming with a target of around 30! There is some heavy resistance right above today's high and the 2008 highs though which it has to break through first. Moreover, PMs are usually quite week during the next few months. 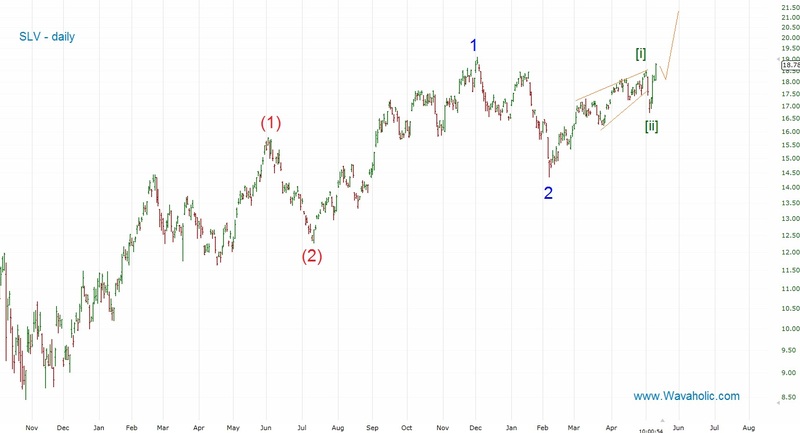 But the Elliott Wave count for Silver (click to see the last EW count for Silver (early April)) still suggest a big rally coming. 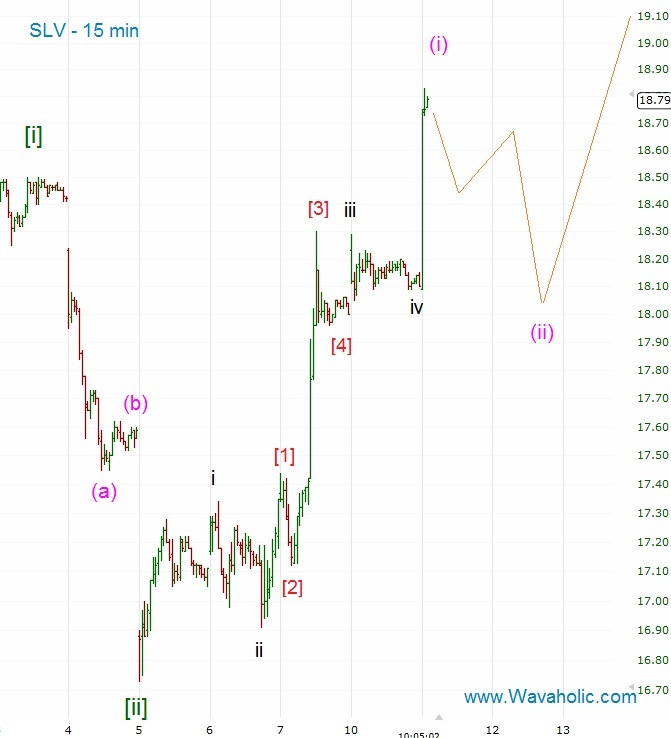 From the Feb lows Silver formed a nice looking Leading Diagonal and then wave [ii] unfolded in a Zigzag. 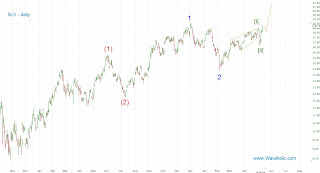 A correction to the wave iv low should follow in the next few days but after that Silver should really take off. 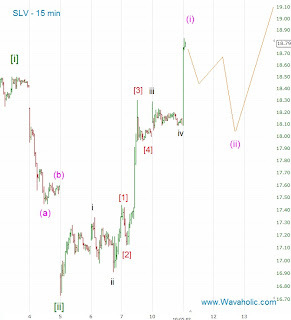 Silver mustn't drop below last week's low (wave [ii]) just above 17. 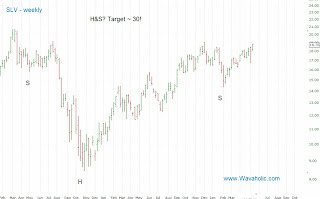 Target for this move is between 25 and 30. So, the risk/reward to try a long looks here pretty good.